Gannon has extensive experience as a marketer and general manager in consumer oriented businesses. He has a consistent track record of delivering strong business results across a variety of consumer categories, all while developing high performance teams. Gannon has led numerous iconic brands including Miller Lite, Coors Light, Quaker, Tropicana, Lays, SunChips, Jell-O, Post Cereals, Kraft and Frito-Lay, with broad experience across brand strategy, advertising & communications, P&L management, cross functional team leadership, CRM & loyalty, digital, innovation and insights. Brandweek named Gannon as Marketer of the Year in 2010. In the past seven years, his teams have won over 100 industry awards including eight Effies (with a record six in 2010) and the inaugural WARC Prize for Global Sustainability in recognition of work on SunChips. In his most recent role, Gannon led brand marketing for MillerCoors portfolio of multi-billion dollar brands including Coors Light and Miller Lite. In his first 18 months, he led a successful turnaround of the Miller Lite brand, returning it to growth for the first time in over seven years. 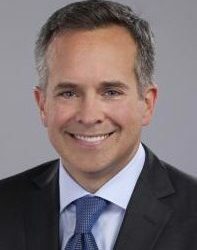 Prior to this, Gannon was CMO of Pepsico’s Global Nutrition Group where he set marketing strategies globally for Pepsico’s $12 billion wellness portfolio, including the Quaker and Tropicana brands, as well as developing the launch strategy for Pepsico to enter the dairy sector in the US with Muller yogurt. Earlier in his career, Gannon spent 12 years at Kraft Foods in numerous senior marketing and strategy roles, including co-creator of Kraft’s CRM program, which was widely recognized for pioneering content marketing, digital and custom publishing in the early 2000’s. Gannon is a board member of Breakthrough, a Chicago based non-profit organization providing services for underprivileged youth and the homeless.